Receiving an ERC grant is a major milestone in Marek Mráz’s scientific career, which has shown exceptional promise from the very beginning. Goal of Mráz’s team is to utilise the current knowledge of molecule interactions to design more effective therapy while they also want to develop a mouse model that can be used for testing new drugs. Researcher Marek Mráz from Ceitec, Masaryk University, is celebrating a huge success. He has been informed that his project has been approved by the European Research Council (ERC). He is the third Ceitec MU researcher and the fourth researcher in the history of Muni to receive the highly regarded ERC Starting Grant. This will enable Mráz and his team to focus on intensive research into the causes and treatment of chronic lymphocytic leukaemia, the most common type of leukaemia in adults. With funding of 1,5 million euro over five years, the team will be able to focus on the in-depth study of the mechanism that leads to the disease. 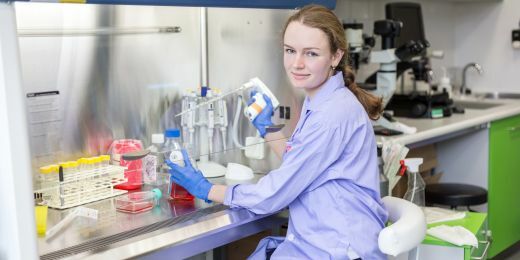 Their goal is to utilise the current knowledge of molecule interactions to design more effective therapy while they also want to develop a mouse model that can be used for testing new drugs. As Mráz says, “About half of the funding will be used to pay for the experiments and materials and the other half will be used to pay for the personnel costs of our team”. Receiving an ERC grant is a major milestone in Mráz’s scientific career, which has shown exceptional promise from the very beginning. As a PhD student, he received the award from the Ministry of Education for exceptional PhD students. In 2014, he received an award from the European Hematology Association and in 2015 was awarded by the Czech Society for Oncology for the most significant scientific publication of the year. Even though Marek Mráz is only 34 years old, he leads his own research group and has completed work stays at the Mayo Clinic and the University of California in San Diego. “Receiving a third ERC grant for Ceitec MU and a fifth grant for the whole Ceitec consortium is confirmation that the investment that Brno received is paying off. Using EU funding, we have built one of the best-equipped research centres in Europe and we are succeeding in creating a working environment that incentivises top researchers to stay,” says Jiří Nantl, the director of Ceitec Masaryk University. Winners of the ERC grant are still few and far between in the Czech Republic. 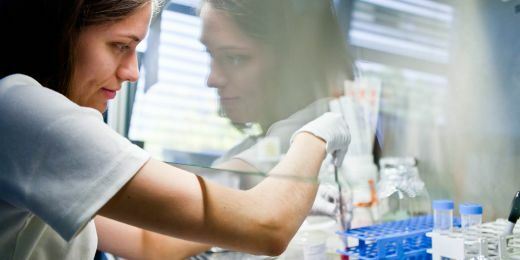 The grant, in its various categories, has been in existence since 2007 and Czech researchers have only won thirty of them, including twelve Starting Grants. It is not easy to meet the high standards required by the ERC. A contributing factor to Mráz’s success is the special university programme that he completed. “Another junior ERC grant for Masaryk University shows that we have a good pool of excellent and globally competitive young researchers. Just as important is to make sure that no ERC grant holder leaves to another institution, as has been happening at many Central European universities. If nothing like this happens at MU, it will be a clear indicator of our high-quality research environment and we will be able to celebrate our success much more often,” says Petr Dvořák, MU vice-rector for research. 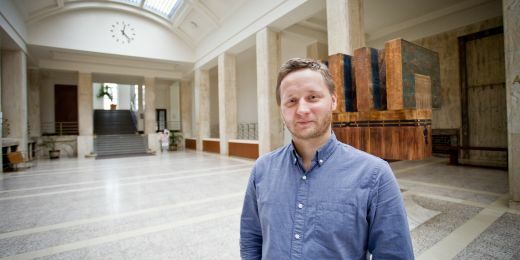 In 2017, Marek Mráz and his project received funding from the internal MU Grant Agency of Masaryk University, which aims to support potentially risky projects attempting to win ERC grants. Mráz subsequently used the grant support provided by Ceitec MU to write the grant request, and consulted his project proposal with experts from the UK and Netherlands. He then completed three mock interviews that simulated the final interview with the members of the evaluation panel in Brussels. “Even though it’s impossible to calculate the impact of our support on the final result, we believe that the effort you invest in it pays off. Marek Mráz set his goal of winning an ERC grant several years ago, invested a lot of time and effort into his project, and didn’t hesitate to use the support provided,” says Roman Badík, head of the MU Research & Development Office, which runs the preparation programme for researchers applying for ERC grants. As Badík also notes, another way of raising the bar for research work at the university is attracting researchers who received their ERC grant elsewhere. This is the case of Daniel Kráľ, an expert on graph theory, whose contract at MU starts in the autumn. Marek Mráz is only the fourth Muni researcher to succeed in the competition to win this grant. The first victorious Muni contender was Pavel Plevka, a structural biologist, who won in 2013 with his project to study human picornaviruses. Two years later, Richard Štefl achieved the same success with his project to study genomic “dark matter”. And in the same year, legal expert David Kosař became the first in his field to win the grant to study self-government of the judicial system in EU countries. Diploma thesis of Eva Vojáčková from Masaryk University has recently won Werner von Siemens Award.